Highball brands is a distribution agency that imports and distributes some of the most exciting global brands available. We aim to offer a high quality standard of service across all touch-points. From boutique start ups to rulers of the drinks business looking to break into the UK, our combination of supreme organisation, along with our sales and marketing expertise, will assist brands of any size to achieve their objectives. Our extensive on and off trade network ensures your brand is enjoyed in the right environment. With a background in sales and 40 years building the right relationships, we know how to get your brand into the market and out to the masses. We work to ensure a seamless implementation of a product into The UK market. Through detailed organisation and up to date reporting we can ensure a complex operation is managed from start to finish, along with everything in between. Method Take a coppa and fill with ice. Pour over 50ml Virtuous Raspberry. Top with Schweppes 1783 Salty Lemon Tonic. Method Take a highball glass and fill with ice. Pour over 50ml Takamaka Spiced. Top with 1783 Golden Ginger Ale. Method Take a highball glass and fill with ice. Pour over 50ml Fanny Fougerat Petite Cigue. Top with Cawston Rhubarb & Apple Soda. Method Take a rocks glass and fill with ice. 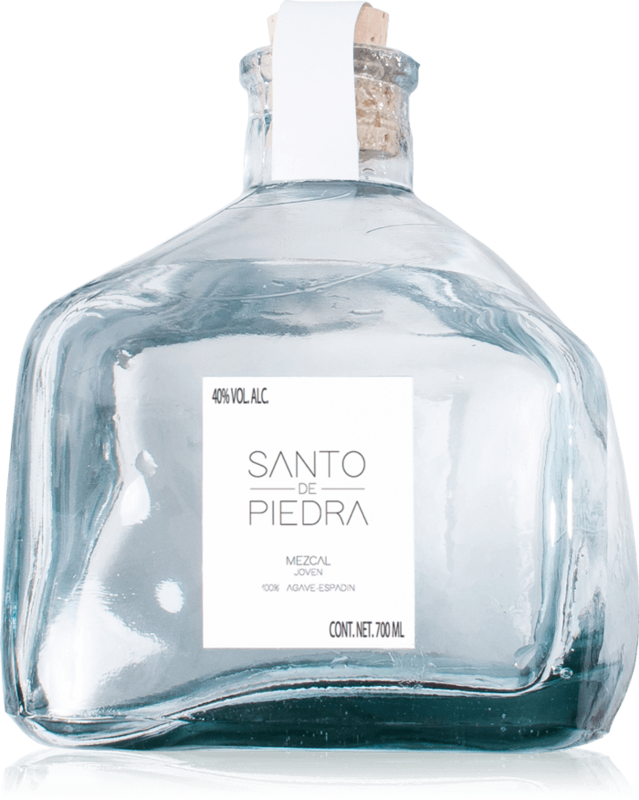 Pour over 50ml Santo de Piedra Mezcal. Top with Clementine San Pellegrino. Method Take a highball glass and fill with ice. Pour over 50ml Bloomsbury Peated Vodka. Top with Schweppes 1783 Light Tonic Water. Produced in Bloomsbury, London. An innovative take on the French aperitif. Alcohol 42% By Volume 500ml. Vietnamese star anise is distilled with liquorice root in organic wheat spirit. A second distillation of coriander seed, orange peel, cucumber peel, aniseed and new world hops is also created. These two distillates are then blended before organic agave syrup is introduced at a level of only 1% by volume. Exotic star anise is lifted with fresh citrus notes. Malt Barley is heavy with phenol oils from peat smoke used in the fires during the drying process. Produced in Bloomsbury, London. An Islay-inspired vodka that captures the smoky warmth of the hearthside and the coast. Alcohol 45% By Volume 500ml. During a multi-stage distillation and blending process the Bloomsbury Distillery isolate and extract this complex flavour from the barley, creating a world first. Sweet with a hint of vanilla only. Wild gentian root is compounded and distilled with freshly peeled oranges and burdock root to build the heart of the spirit. The same key ingredients are then used in the second blending process in their unfiltered state to add depth, complexity and bitterness. Finally, a spirit of raisin grapes provides the natural sweetness and mouthfeel. Orange citrus with a dense, almost whisky-like depth. Although you should feel free to sip this rich golden rum short and neat or with cola for a long classic, it is best enjoyed in a hammock. Produced in the Seychelles. Made with island spring water and the Seychelles finest sugarcane. Alcohol 38% By Volume 700ml. Spiced Rum is a harmonious blend of rums selected for their complementary characteristics. Local spices provide the deliciously smooth top notes and serenely pure finish, followed by lingering notes of vanilla and caramel. Takamaka Coconut Rum topped with pineapple juice makes for a deliciously lazy piña colada. Or simply enjoy on the rocks... in the sea, naturally. Alcohol 25% By Volume 700ml. An blend of the Takamaka white rum infused with pure coconut extract captures the magic of the Seychelles in every drop of Takamaka Coco Rum. Hints of vanilla and sweet coconut transport you to sun-drenched shores with a refreshing sea breeze of a finish. Sips great with dark mixers or lifts any tropical punch, adding depth to even the shallowest of gatherings. Takamaka Extra Noir is a rich caramel blend of the Takamaka classic column and pot rums enhanced with select rums from new French oak and aged bourbon barrels. An otherworldly spirit filled with body and elegance and a long, sunset warming finish. This light, tropical aperitif mixes well in a Mojito, Cuba Libré, Daiquiri or PinaColada and always with good friends. Seychelles sugarcane is crushed on site and fermented in stainless steel tanks. Distillation takes place in three copper stills. Its then blended to bottle strength with molasses rum, using water sourced from the Valée De Mer for its high mineral content. A touch of Creole pot-still rum provides its soft creamy character and natural aromatic undertones typical of this Indian Ocean island. Enjoy Takamaka St Andre on the rocks or neat for maximum enjoyment. Produced in the Seychelles. Premium slow aged rum. Alcohol 40% By Volume 1l. Aged for eight years in American Oak and gently filtered to preserve the flavours. Delicate flavours of vanilla, marmalade and oak with a touch of spice, all beautifully integrated for a smooth, luxurious and lingering finish. Petite Cigüe is very fresh and easy to approach, despite its young age. A fruity, luscious and tangy cognac A cognac to be savoured wholeheartedly, for a moment of shared pleasure. From Cognac, France. Coming from four generations of winemaker and distiller, Fanny distills all of her cognacs on the family estate. Alcohol 40% By Volume 700ml. Distillation is in two passes. One batch of 100% Ugni Blanc. From the Fin Bois, clay and muddy soil. Well balanced with roundness and strength. Fruity notes, fresh cereal, apricot and almonds. Pure, distinct and floral, Iris Poivrée links fineness to generosity. Delicate in essence and subtly by nature. Distillation is in two passes. One batch of 100% Ugni Blanc. 15% of the batch is held in new oak for one year. From the Borderies. Light, round and fruity with a harmonious and generous structure. This cognac has a floral ambiance complimented with flavours of candied bitter orange and walnut. Cèdre Planc is a rich, enveloping Cognac. It combines finesse, force and freshness, offering a delectable moment of intense pleasure. Alcohol 44% By Volume 700ml. Distillation is in two passes. One batch of 100% Ugni Blanc. 22 years old. From the Fin Bois, clay and muddy soil. Beginning with light liquorice, this is followed by notes of tobacco apricot and citrus. Powerful and smooth. Virtuous is all about being real. Not kind of real. Real real, for real. Made in Sweden by Virtuous Spirits AB. Organic rye is the base ingredient. Column distilled once, and it’s of course unfiltered to render the smoothest and most well-balanced flavour possible. No added aromas or sugar. Sweet, peppery scent of fresh baked bread and light notes of fruit. Made in Sweden by Virtuous Spirits AB. Organic rye is the base ingredient. Flavoured with organic lemon peel. Column distilled once, followed by maceration. Gently filtered. The complex taste of lemon scent elevates the vodka. The sweetness of the zest, combined with the bitterness from the peel results in a modern lemon vodka that is reminiscent of bitter marmalade. Made in Sweden by Virtuous Spirits AB. Organic rye is the base ingredient. Flavoured with organic raspberries. A striking taste from perfectly ripe raspberries this vodka has a wonderful balance of with acidity and sweetness from the raspberries. Matures with time, developing into a more complex flavour, with less acidity and less red colour. Made in Sweden by Virtuous Spirits AB. Organic rye is the base ingredient. Flavoured with organic ginger. The spicy taste from the ginger is remarkable and carries a certain amount of heat. When mixing in cocktails its a perfect mix with tamarind, pineapple or grapefruit. Produced in San Bartolo Yautepec, Oaxaca, Mexico from 10 year old agave. Produced in limited batches of 50 numbered and signed bottles. Made with 10 year old espadín agave, cooked with Santo de Piedra's exclusive recipe of woods. Double distilled in copper. Floral, citric and herb notes with a deep and long finish. Made using a blend of spirit distilled from English grapes and grain spirit, Foxhole Gin is infused with juniper, coriander, angelica root, orris root, liquorice root, bitter orange, fresh lemon and grapefruit zests and angelica seed, and diluted with natural spring water. Leading with complex citrus and floral aromatics on the nose. Foxhole Gin has an elegant mouth feel, with floral coriander and orris to start, this is then balanced with grapefruit and lemon zests, ending with a long finish of subtle bitter orange notes. HYKE is a premium Gin co-created by Foxhole Spirits and Richard Hochfeld Ltd using grape spirit produced from internationally sourced, fresh table grapes, that are surplus to the requirements of the supply chain. Applying the know-how behind their limited edition Foxhole Gin they take the grapes, press them dry and make the resulting juice into wine. This wine never sees the light of day: instead, it's sent to the distillery and turned into grape spirit, which they use to make HYKE along with the grain spirit, and finally the botanicals which all celebrate the provenance of the grapes. A zesty coriander, cardamom and bright spices on this nose, HYKE Gin has a super smooth balance of fresh citrus zest, prominent juniper, warming spice and rooibos tea on the palette. SUPASAWA puts creativity back into mixology, and empowers professional and home mixologists with a reliable, stable, economic, and sustainable premium sour mix with a two year shelf life. SUPASAWA will become your best friend on the back bar. A blessing for bartenders and mixologists, it makes mixing cordials and shrubs as easy as 1-2-3. Meticulously crafted from distilled water, five different types of acid, a little sugar and a pinch of salt, SUPASAWA makes your cocktails sing and pop. Ready-to-pour SUPASAWA reduces your beverage cost dramatically. You don’t have to spend your precious time juicing lemons and limes, which you don’t have to buy anymore. The flavour of lemon and lime juice can be affected by too many volatile factors, such as the moment of juicing, or the ripeness of the fruit. SUPASAWA always tastes the same, wherever and whenever.